It was a misty morning, the haze outside the plane a kaleidoscope of blue and white. It was hard to seperate the Persian Gulf from the sky. I stared out of the window, bored with Emirates entertainment system, our redeye flight had left Amsterdam at 21.30 pm and now it was the early hours of the morning. Every now and then i’d notice flames in the sea of blue, I guess oil platforms where the fumes were being burnt off. Then I noticed something else, a black letter I appearing in the haze surrounded by thousands of lights, getting closer I realised it was the Burj Khalifa, the worlds tallest building. Coming into land at DXB I had an amazing view of the whole of Dubai and the surrounding desert. I have to say I was impressed with the gleaming marble airport but less so for the Emiratis working on passport control, chatting away to each other while tired passengers waited in line to have their passports stamped. My hotel was the Radisson Deira Creek. I had chose it because it was right on the Creek in the older part of Dubai. 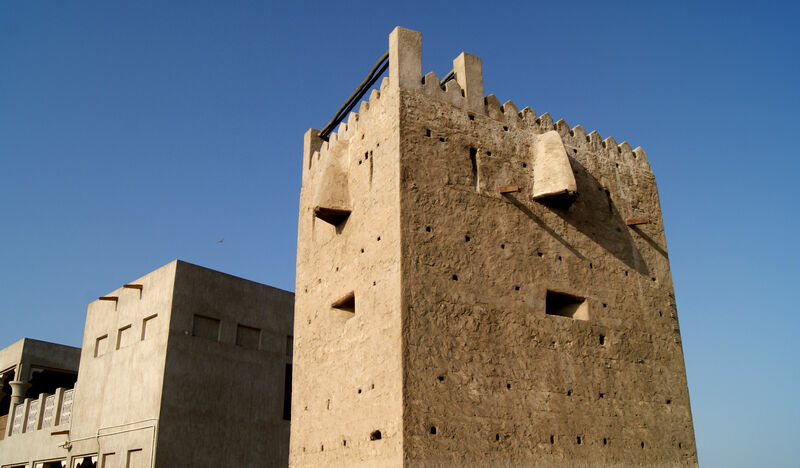 I suspected Deira had far more character than the new modern area and over the coming days I realised I was right. The view was fantastic from the hotel, dhows on the creek stockpiled with electronics heading out to Pakistan and India and in the distance the new modern Dubai, the Burj Khalifa dwarfing everything else. It was 39 degrees celcius which made it impossible to go out for any length of time. I took an abra, a type of traditional water taxi along the creek and told the driver to drop me off in the old area of Bastakia. The whole of Dubai has a strong subcontinent feel to it, as I was being harrassed by the merchants it gave me fond memories of Paharganj 2009. Radisson Hotel on the Creek, a lovely hotel. There are many positive things about Dubai, the metro system is fantastic, air conditioned and clean. Many places to eat and very cosmopolitan, taxis are amazingly cheap. I really disliked the shopping mall culture, I got lost in the Dubai Mall and to be honest it was the low point of my time in the U.A.E., the same shops that you would see anywhere else. 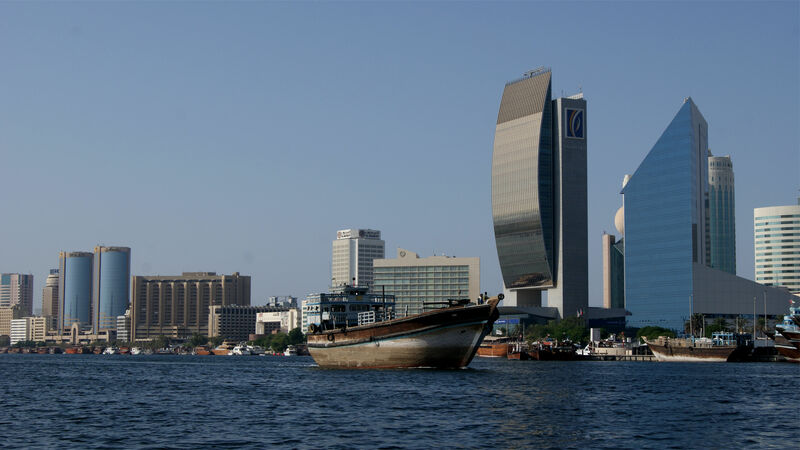 The highlight of Dubai for me was chartering my own abra and going up and down the Creek trying to catch a breeze, oh and one afternoon eating Persian carrot icecream in an Iranian restaurant. I had heard about “mountains of gold” in the gold market but it was quite a let down. I had high expectations for Bastakia, the historical quarter but it seemed a bit airbrushed to me and not genuine. 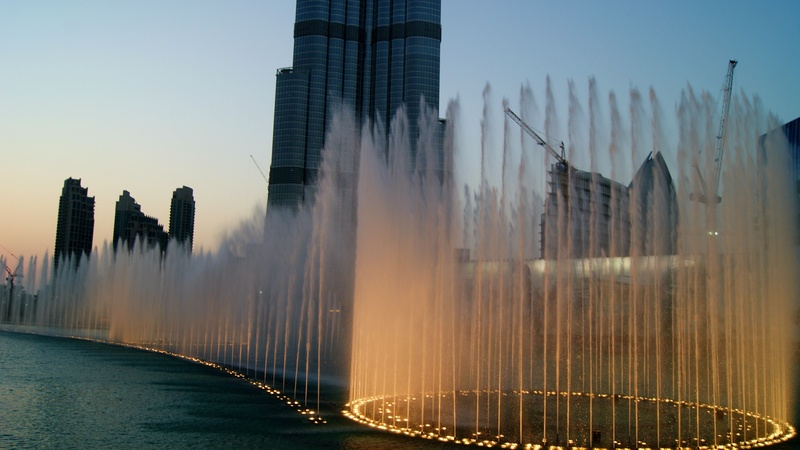 One other thing I liked was the Dubai Fountains, a water show set to music…was surprised how moving this was! If you like action sports, shopping, swimming pools, luxury hotels then I think you’d like Dubai. Even going to the dunes and a desert camp with belly dancing felt all so touristic. It just didn’t click with me and I can never imagine wanting to visit again. I’m still glad I went though and feel myself lucky. 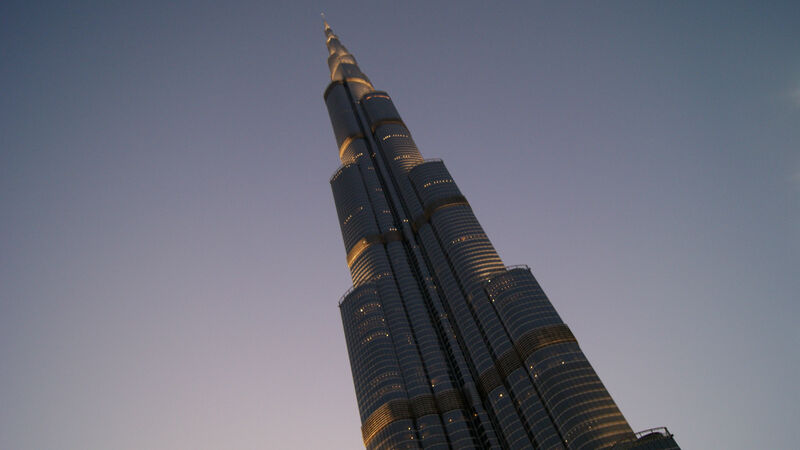 This entry was posted in United Arab Emirates and tagged burj khalifa, deira creek, dubai, middle east, persian gulf. Bookmark the permalink. ← Thoughts on leaving Iran. 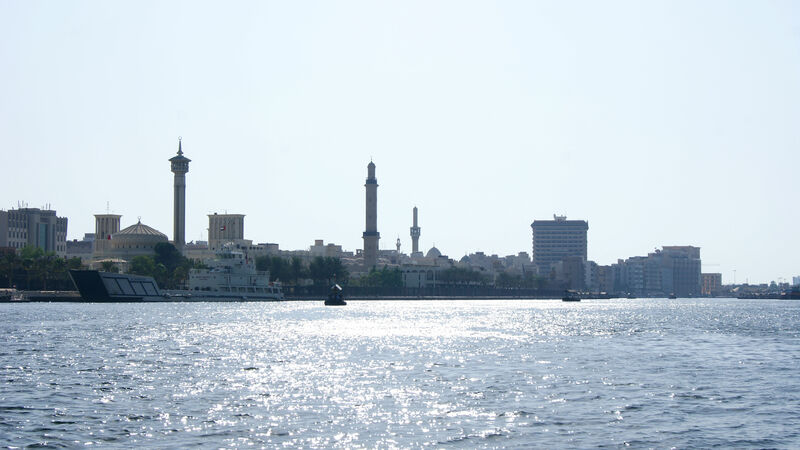 Deira Creek–it forces history of the region on you, doesn’t it? Thanks for the photos and post.